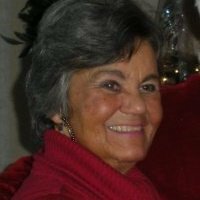 Carol Sue Allard, nee Jacquot, 78, of Belleville, Illinois, born Monday, December 9, 1940, in Alton, IL, passed away Wednesday, January 16, 2019 at her home in Belleville, Illinois. Carol met her husband, Jon, when they were just 15 and 14 years old, respectively. They spent the rest of her life together, being married for 57 of those years. In addition to being a loving wife, she was also proud and loving mom and grandma to her two kids and three grandkids, as well as to so many others who thought of her as a second mom or grandma. She was also the selfless life-long care-provider for her only sister. Her proudest accomplishments in life were raising, loving and supporting her family, including extended family, in every one of their endeavors. Carol worked with her husband for 20 years at Allard London Shoe Repair before moving into real estate for over 30 years, 27 of those as a Broker/Manager for Strano Associates. She was a member of Blessed Sacrament Catholic Church in Belleville, Illinois. Carol was a member of NAR-National Association of Realtors, IAR-Illinois Association of Realtors, and RASI-Realtor Association of Southwestern Illinois since 1986, serving on numerous committees. During her career, she trained numerous new agents and continued to lead a successful team of agents until just a few months before her death. She supported and protected each one with care and kindness and was a mother figure to all who worked for her. She was most proud of her charitable efforts. One of her biggest fundraisers that she tirelessly worked and chaired for over 25 years was the Belleville Chili Cook off, where she raised money for the Adopt-a-Family program, adopting HUNDREDS of less fortunate Families during the Christmas season. Delivering gifts to these families year after year and seeing their happy faces was all the thanks she needed. She also participated yearly in the Tired Teddies Campaign, sending stuffed animals to children in need, backpack drives supporting children with back to school items, coat drives for the homeless, canned good /food drives for various local pantries, Toys for Tots drives, support for our military families, and many more. Visitation: Visitation from 2:00 pm – 4:00 pm, Sunday, January 20, 2019 at Kurrus Funeral Home in Belleville, Illinois. Funeral: Memorial Mass will be held at 10:00 am, Monday, January 21, 2019 at Blessed Sacrament Church, with Father Matthew Eli and Father Clyde Grogan officiating. A very dear lady. She will be missed. Prayers to the Allard family. She was my second mother and I loved her dearly. I am happy for her that she is at peace with God and I pray for peace for those of us left behind. She will be missed forever. She had a wonderful life with many who loved her so much.. a beautiful tribute to mother and wife.. <3 much love and prayers and cheers to you Aunt Carol..
To Jon and Family…. I’m so sorry for your loss. Carol was a very nice lady always with a smile.